Already beset by stagnant wages, growing student debt and competition from investors who are snapping up listings, those looking to purchase moderately priced houses must also provide more cash up front. The median down payment for the cheapest 25 percent of properties sold in 2013 was $9,480 compared with $6,037 in 2007, the last year of the previous economic expansion, according to data from 25 of the largest metro areas compiled by brokerage firm Redfin Corp. The higher bar is a symptom of still-tight credit that is crowding out first-time buyers even as interest rates remain near historical lows. Younger adults, who would normally be making initial forays into real estate, are among those most affected, weakening the foundations of the housing market and limiting its contribution to economic growth. The median down payment for the cheapest 25 percent of homes was 7.5 percent of the sales price last year, up from a low of 3.1 percent in 2006 and compared with an average 4.2 percent from 2001 through 2007, according to Seattle-based Redfin. For properties in the middle 50 percent, the share rose to 8.8 percent in 2013 from an average 8.2 percent in the seven years leading to the last recession, and for the top quarter it climbed to 20.9 percent from 19 percent. One of the main reasons for the jump is that fewer first-time buyers are applying for loans backed by the Federal Housing Administration, which require smaller down payments, after the government agency boosted mortgage-insurance premiums, said Malcolm Hollensteiner, the director of retail lending products and services for the U.S. unit of Canada’s Toronto-Dominion Bank. FHA raised the cost of borrowing and tightened underwriting to cope with losses on mortgages it backed as the property bubble burst. Borrowers must now pay an up-front fee of 1.75 percent of the loan balance and up to 1.35 percentage points in annual mortgage-insurance premiums. A new program announced in May will help homebuyers who go through counseling lower their premiums. Some of those borrowers may be going to private lenders that demand bigger down payments instead. In 2013, 39 percent of first-time buyers used FHA loans, which generally require 3.5 percent down, compared with 56 percent in 2010, according to data from the National Association of Realtors. The affordability index for first-time buyers, which measures the ability of a family earning the median income to purchase a median-priced home at current interest rates, declined to 105.7 in the second quarter, the lowest since the final three months of 2008, according to the NAR. Banks don’t want to make loans to borrowers they consider to be riskier because they’re worried about having to buy back the loans, said Mike Calhoun, president of the Center for Responsible Lending, a consumer group in Durham, North Carolina. And if they do give mortgages to borrowers who have lower credit scores, they’ll require a larger down payment to offset that risk, he said. Iris Garcia, 35, has seen firsthand how the bar has been raised. She and her husband hope to close next month on a $239,000 four-bedroom “fixer-upper” on the north side of Chicago with their four children. The couple came up with 15 percent down to win the bid, after losing out on another property to an all-cash investor. To be sure, stricter lending, while crowding out market participants, also might mean a healthier crop of homeowners and reduced probability of another crash, said Gary Rogers, an agent with Re/Max Holdings Inc. in Waltham, Massachusetts, and a regional vice president for the NAR. Putting more money down probably means fewer owners will owe more than their properties are worth should prices drop. First-time purchasers accounted for 28 percent of all sales of previously owned homes in June, compared with about 40 percent historically, NAR data show. A dearth of first-time buyers is pushing down the national homeownership rate, which fell in the second quarter to its lowest level since 1995, according to Census Bureau data. The Redfin median down payment calculations don’t include all-cash purchases, which are mainly from investors looking to take advantage of the drop in prices at the bottom of the market to pick up rental properties. Those purchases made up 52 percent of lower-tier transactions in 2013, compared with 23 percent for the middle 50 percent and 21 percent for the top quarter, the data show. The economy won’t get back to its pre-recession growth rate without more first-time homebuyers, whose entry helps boost construction and spending on durable goods such as furniture and appliances, said Wharton’s Wachter. Young adults in particular are probably having trouble coming up with bigger down payments. Unemployment among 25- to 34-year-olds was 6.6 percent in July, compared with 6.2 percent for all groups. The rate for that subset averaged 5 percent in the four years leading to the last recession. Record levels of student debt are also making them less likely to take out a mortgage, according to research by the Federal Reserve Bank of New York. Buyers looking for less-expensive properties are also finding a dearth of supply after investors swooped in, according to a Redfin analysis. 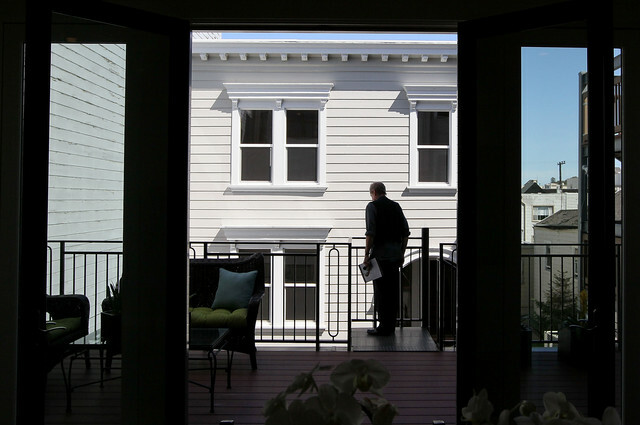 In contrast, listings have increased the middle market and at the top, the data show. Such obstacles, combined with the expectation of having to offer more cash up front, threaten to derail the younger generation from entering the housing market, said Wachter. “If higher down payments persist, we will have a millennial generation that’s missing in action in homeownership,” she said.